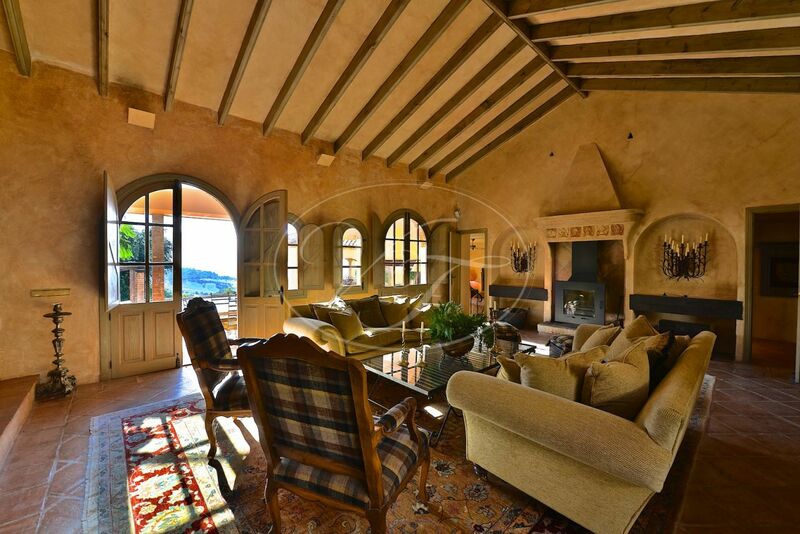 An exclusive country villa situated at the edge of the Ronda mountains near Gaucin, Andalusia. 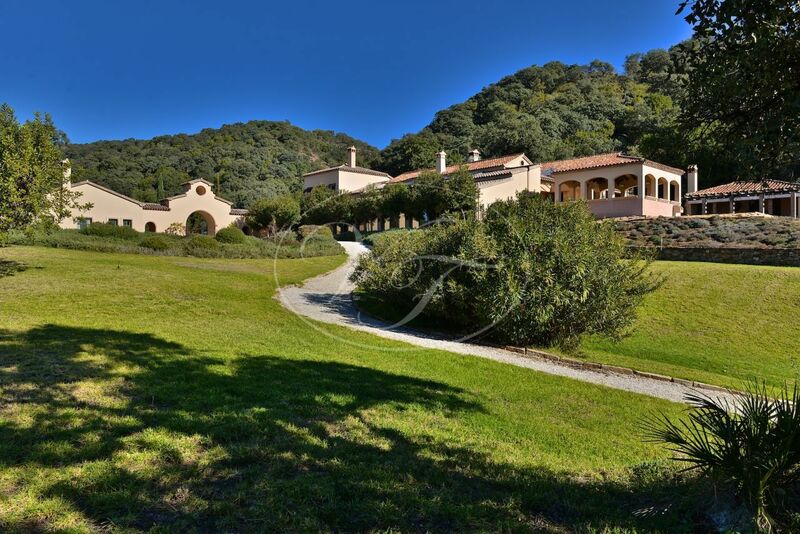 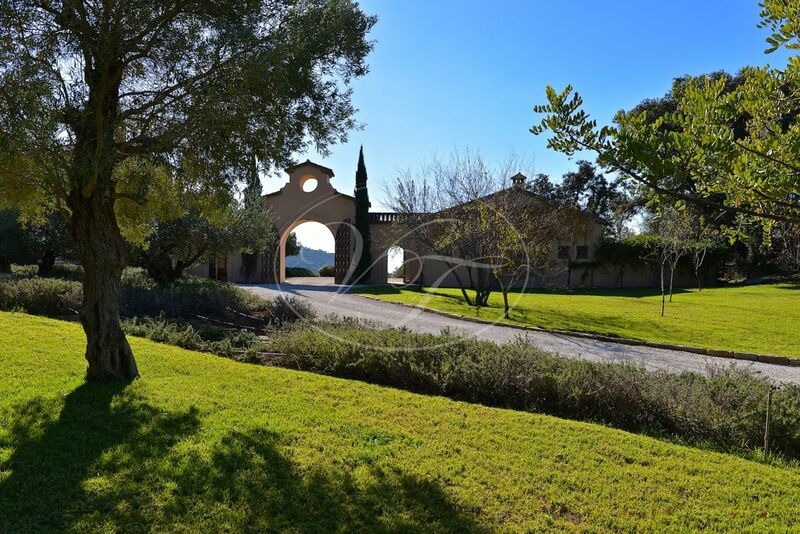 The property offers south facing views across to the Mediterranean and is located on a large fully fenced plot of 96,000m2. 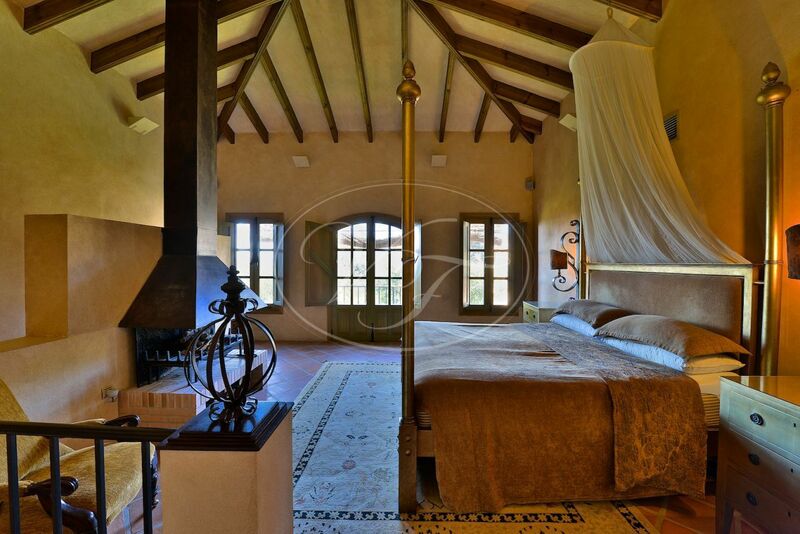 The Cortijo has been renovated and refitted by the present owner to create a truly unique home combining the finest elements of rustic Spain with the latest home comforts. 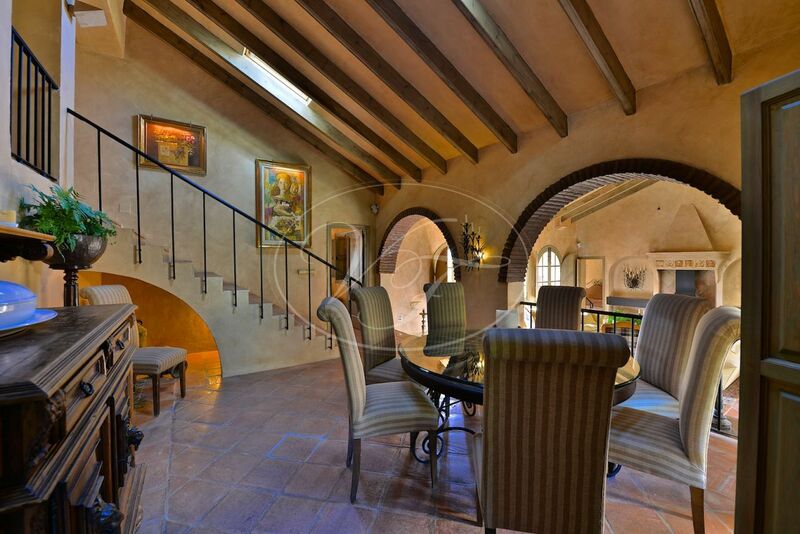 The villa is reached by a private lane which leads to a large parking area for ten cars. 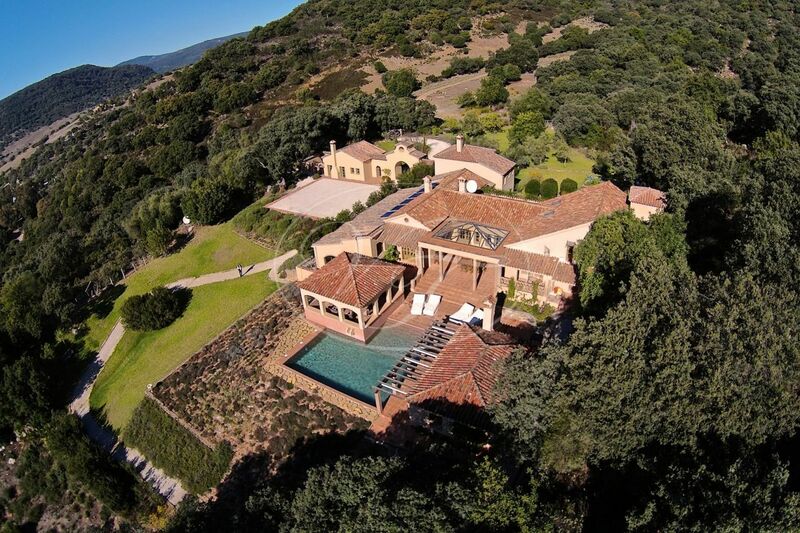 There is also a three car garage. 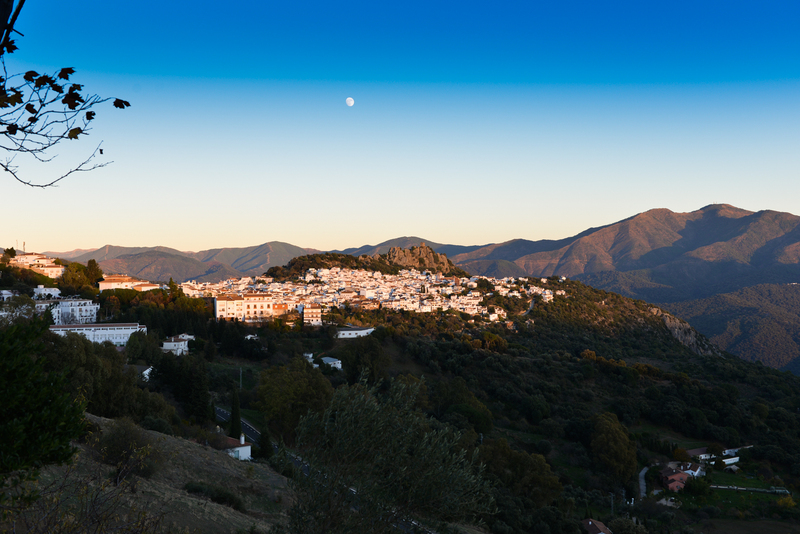 Mature trees surround the finca, predominantly oaks, carobs and olives. 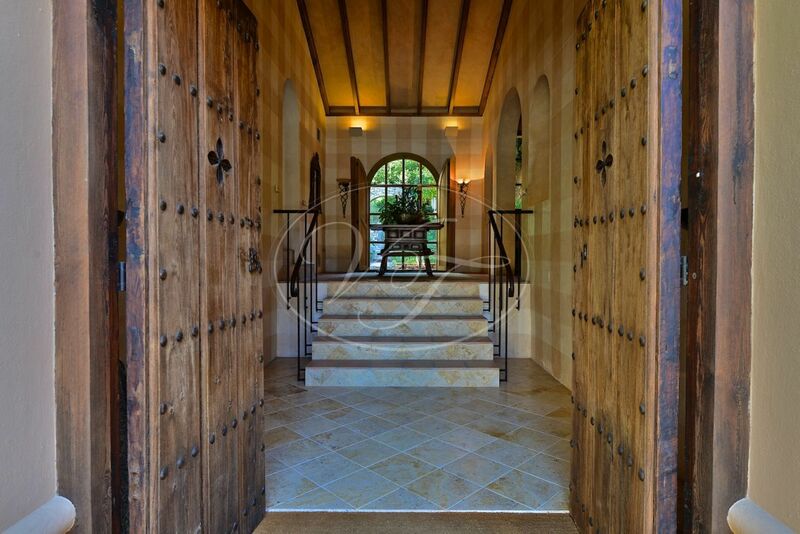 An Andalucian-style archway, with two large Italian pines on either side, create the imposing entrance to this luxury home. 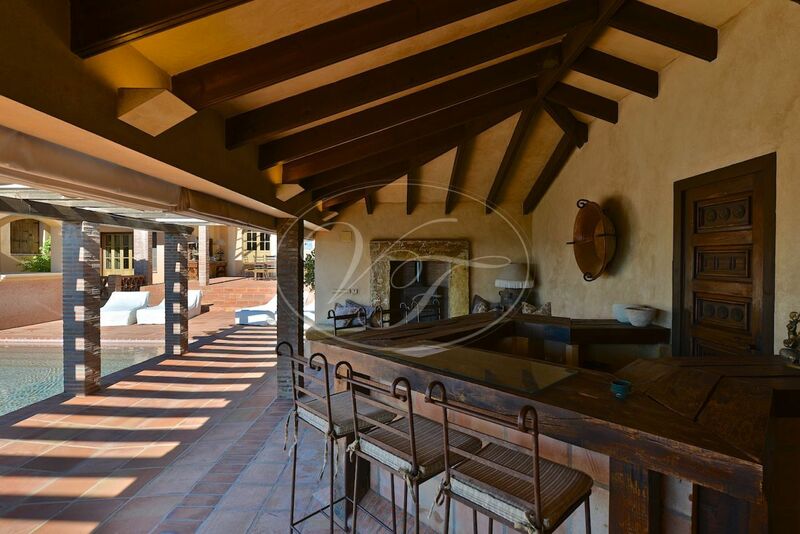 The five-bedroom Cortijo is arranged on one floor, with differing levels. 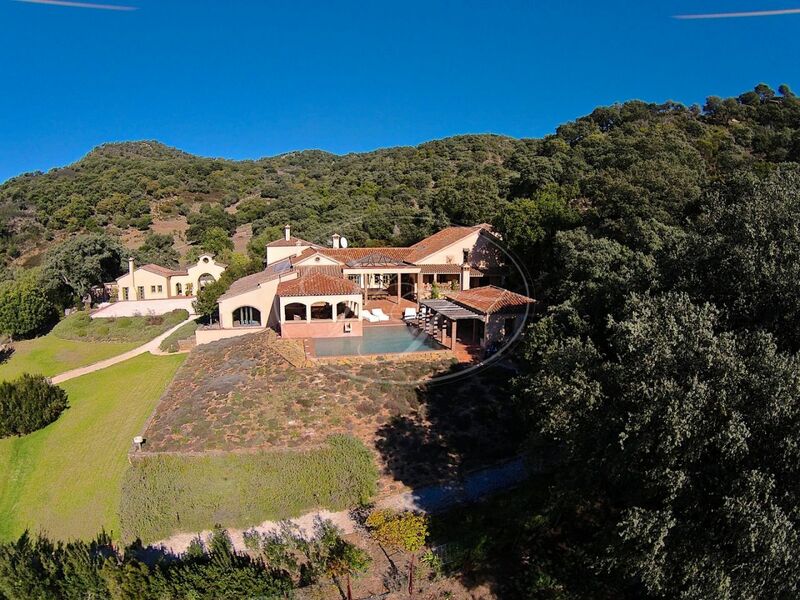 The elevated position of the property offers breathtaking views of the Mediterranean and the coast of Africa, which can be particularly enjoyed from the mirador. 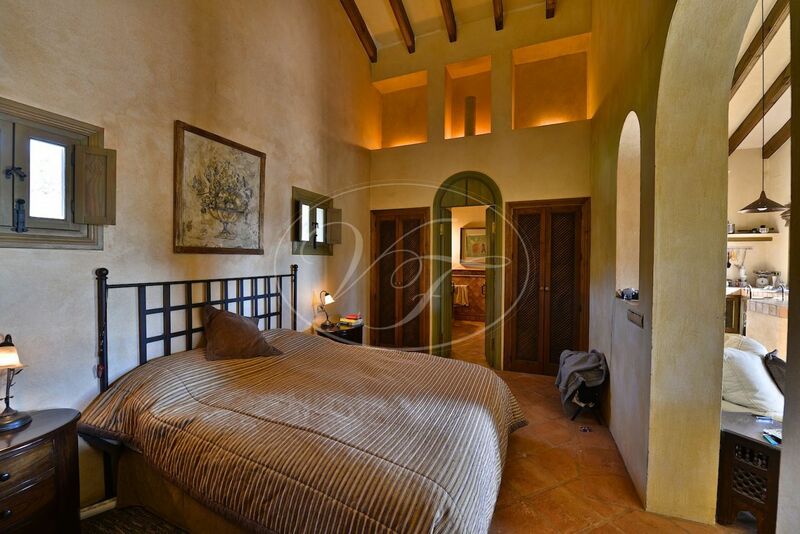 The master bedroom is housed in the main tower and features a large en-suite bathroom and views down the valley to the coast. 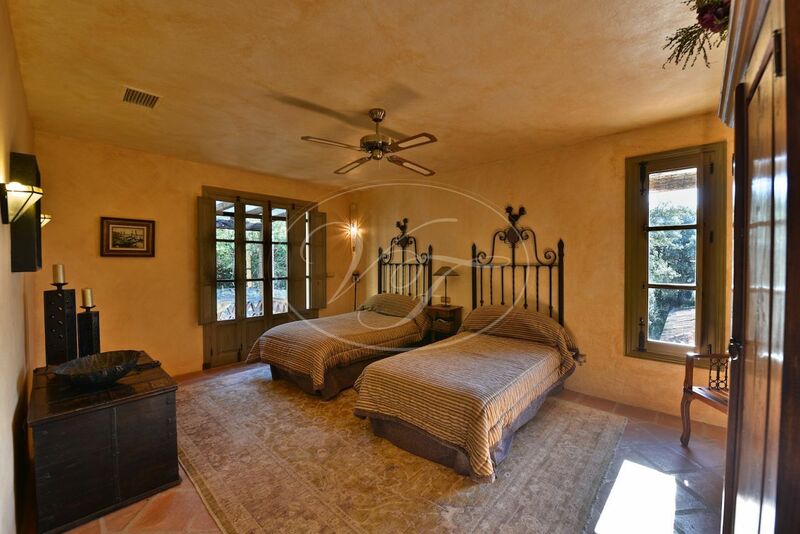 A further three en-suite bedrooms are located within the house and there is a separate fully self-contained granny/staff casita and an additional small gatehouse to the finca. 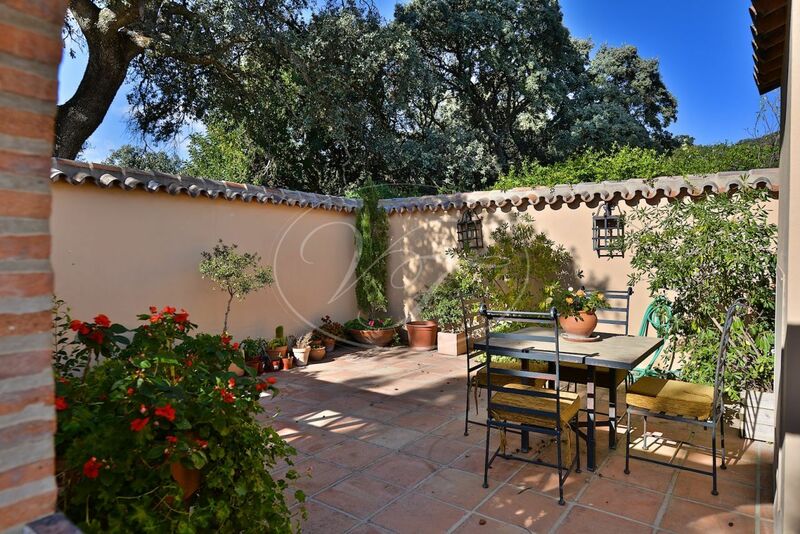 The spectacular terraced areas allow you to live the outdoor lifestyle to the full and the terraced dining area makes a very elegant entertaining space. 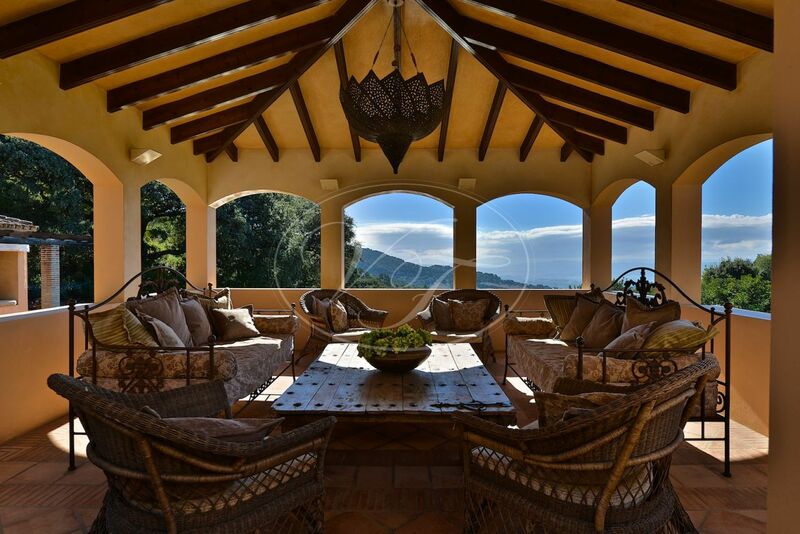 Whilst the magnificent “ Mirador” ( A Spanish term for a terrace constructed due to the stunning views that can be enjoyed ) allows you to sit in comfort and contemplate the rolling hills that lie just beyond the outdoor pool and bar area. 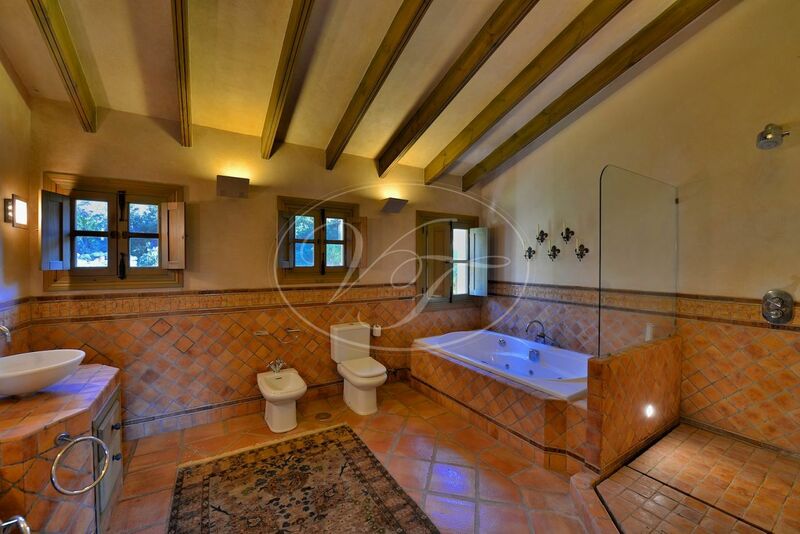 For the days when the outdoor pool can’t be used, there’s a sumptuous indoor Spa area with jacuzzi, heated swimming pool and sauna. 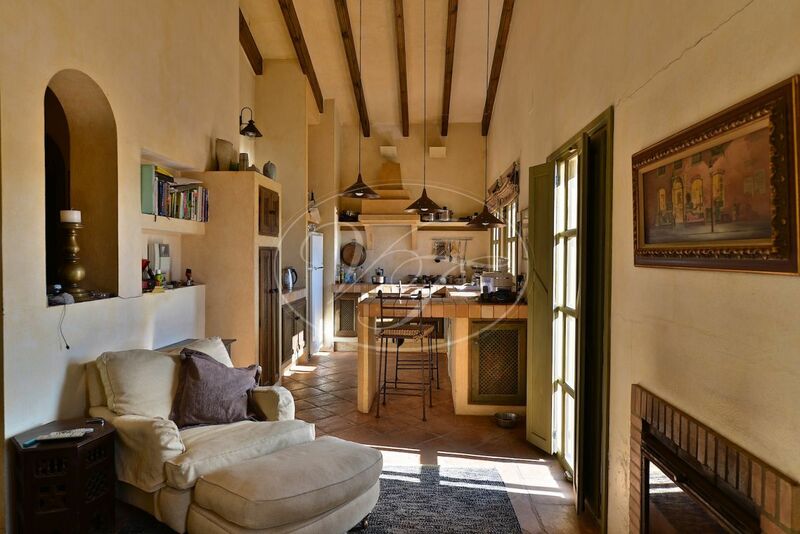 Indeed, the interior of this property is packed with features to make life in the campo as comfortable and relaxing as possible. 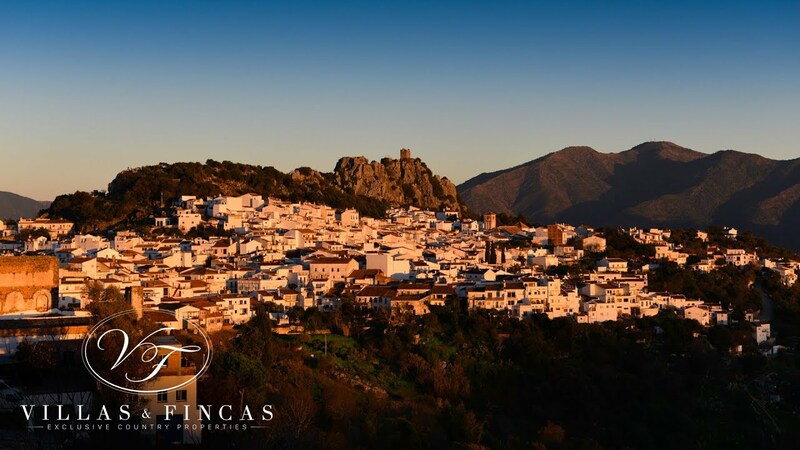 Satellite television is installed, as is a high-speed internet connection, so if you choose the outside world is just a wire away. 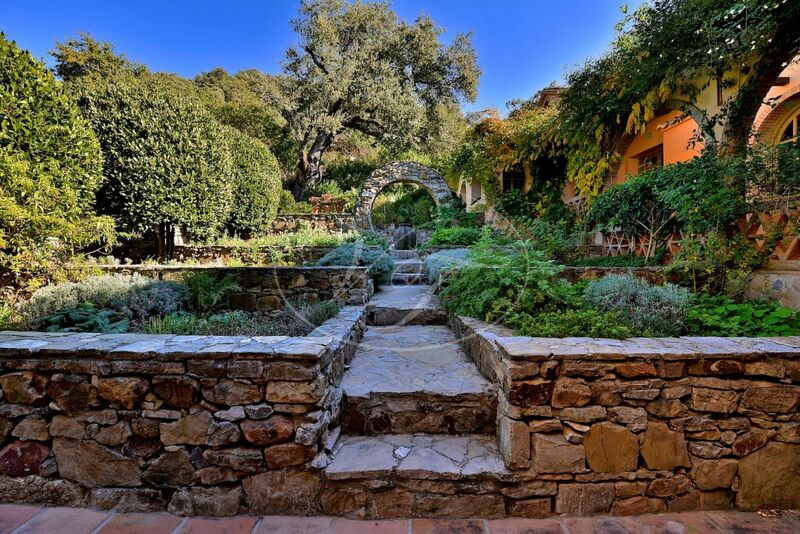 If, however, you crave seclusion, then the stone-walled herb garden offers a fragrant sanctuary where the sweet smells of the herbs and flowers mix with bubbling fountain to create a quintessential Andaluz experience. 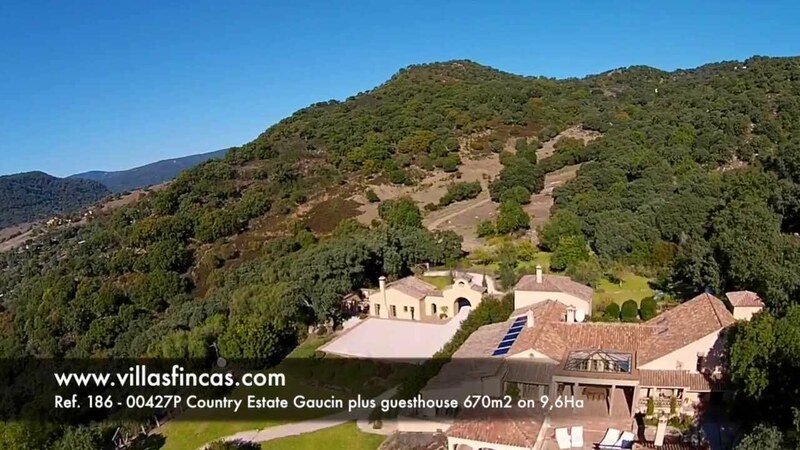 The property has its own water supply, is connected to the mains electricity and has central heating and cooling by means of ducts and powered by a heat pump. 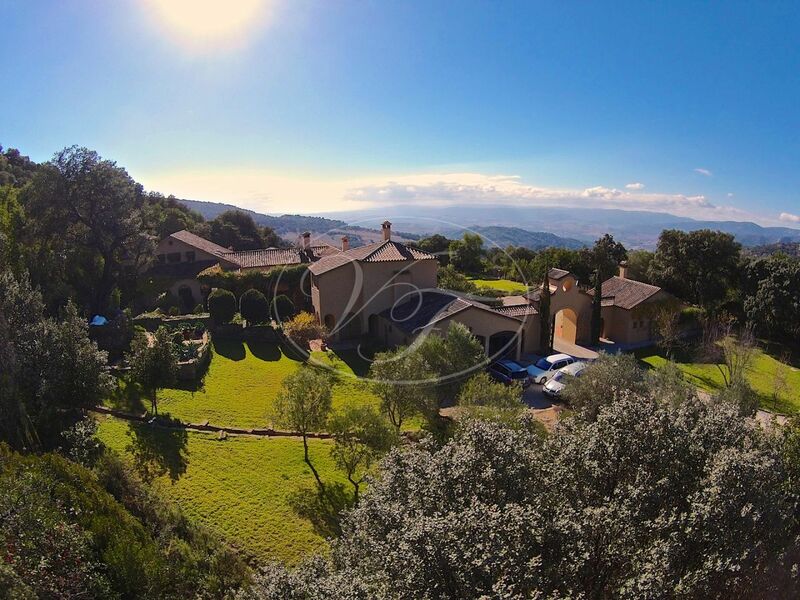 The villa is 45 minutes from the beach, 1.5 hr from Malaga airport, 1 hr from Gibraltar. 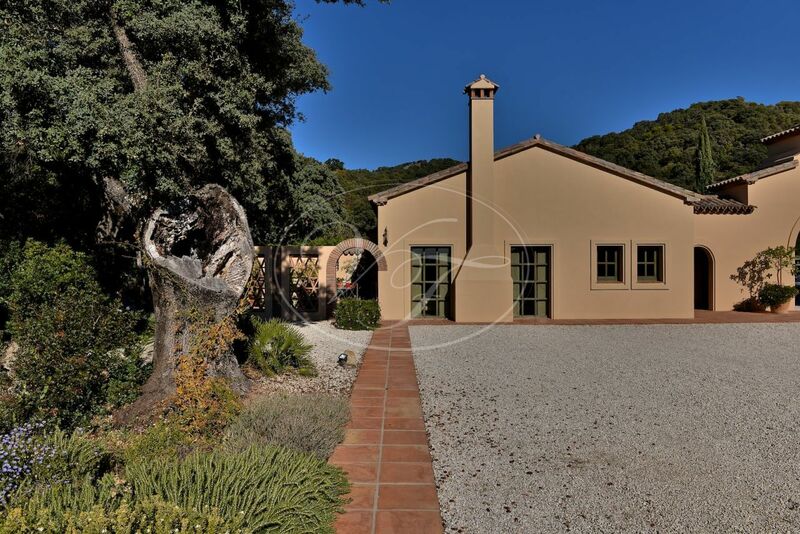 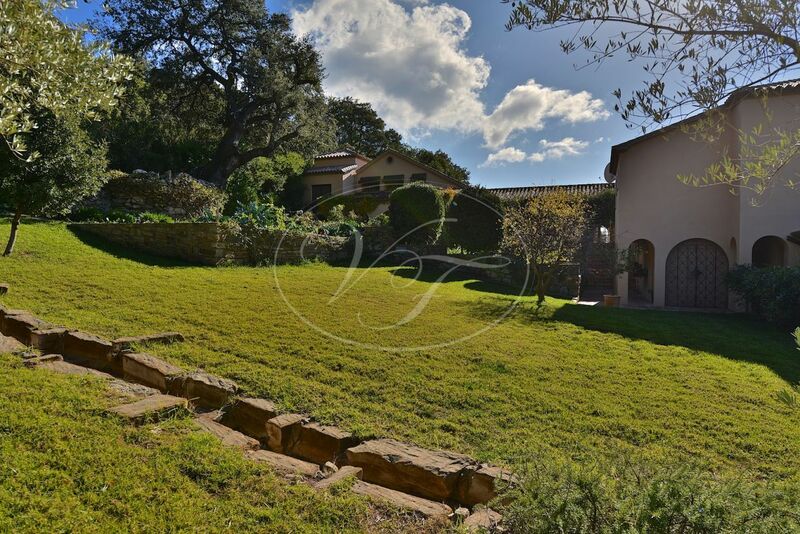 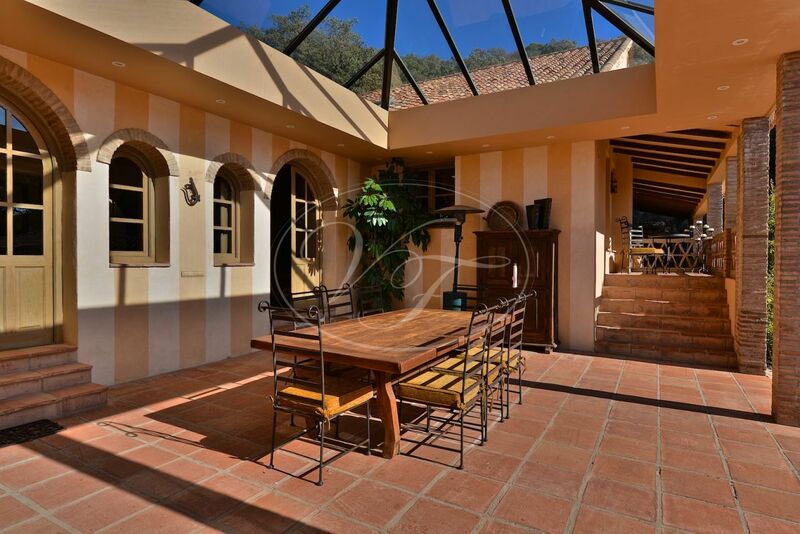 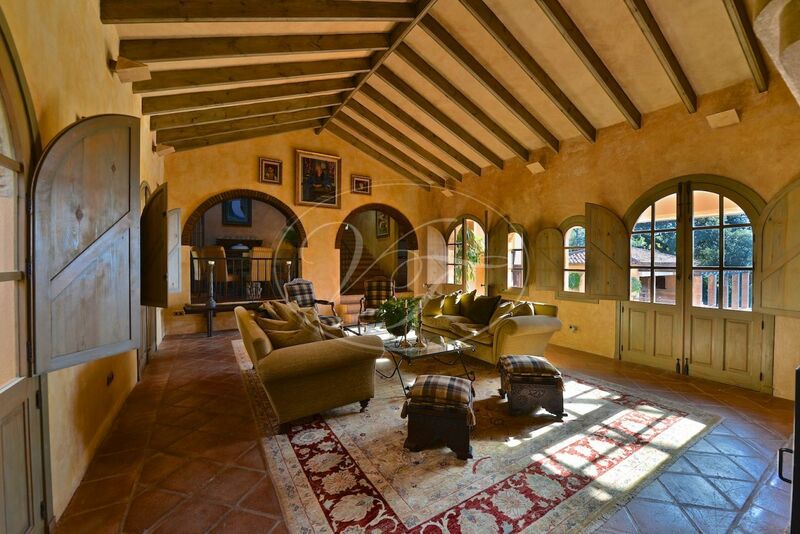 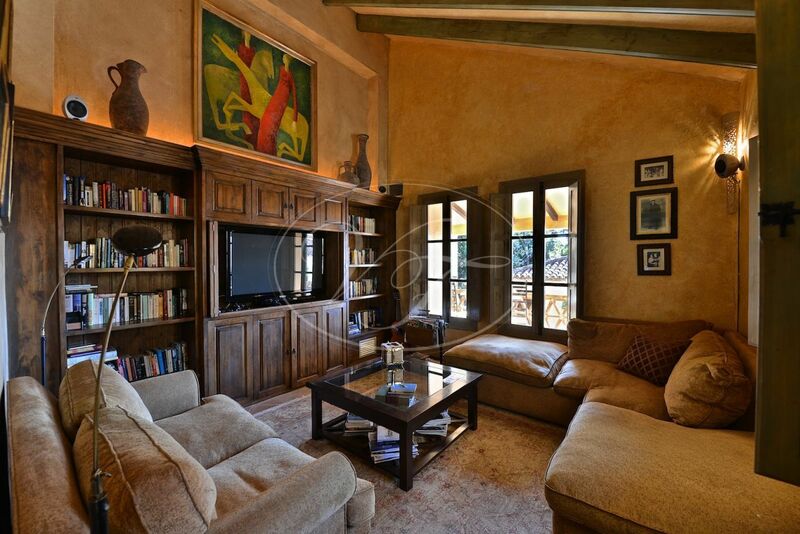 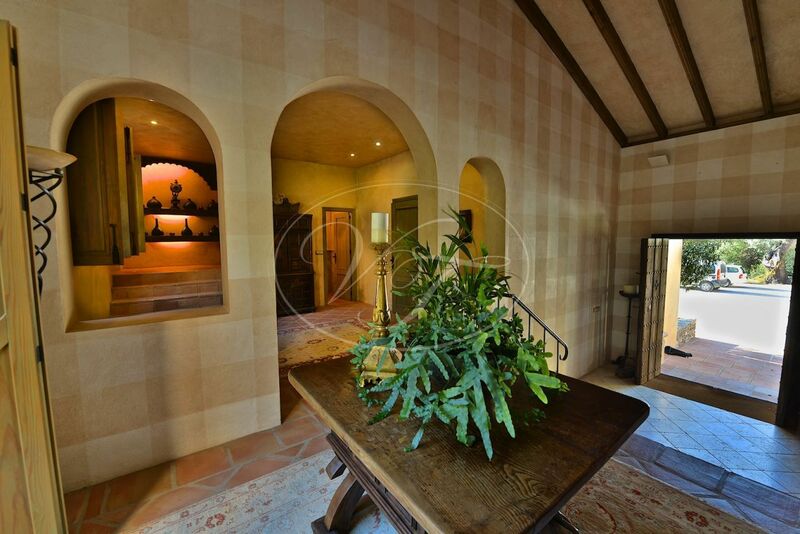 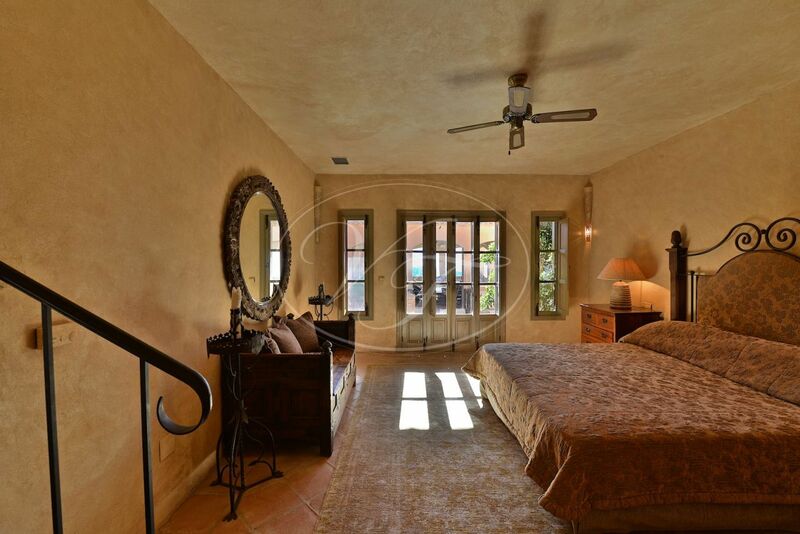 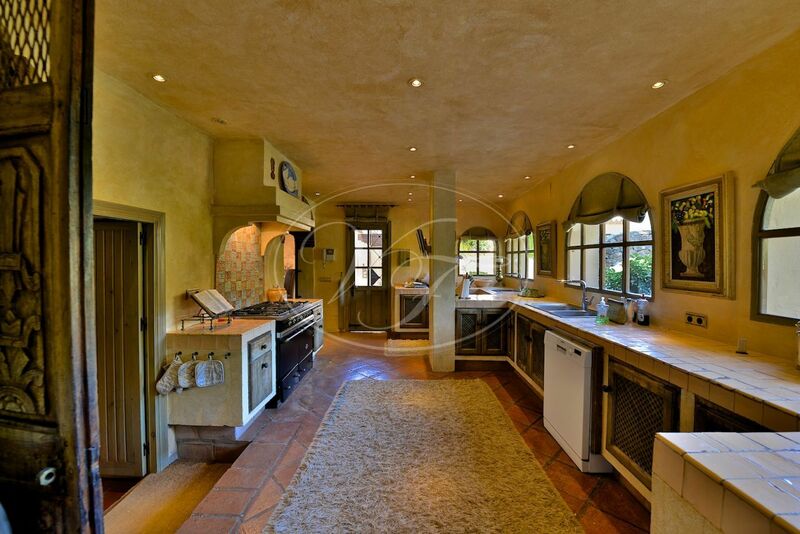 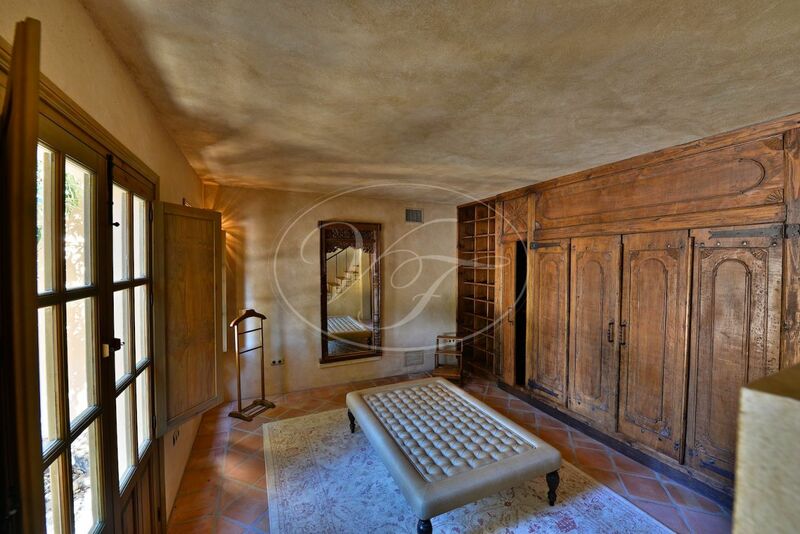 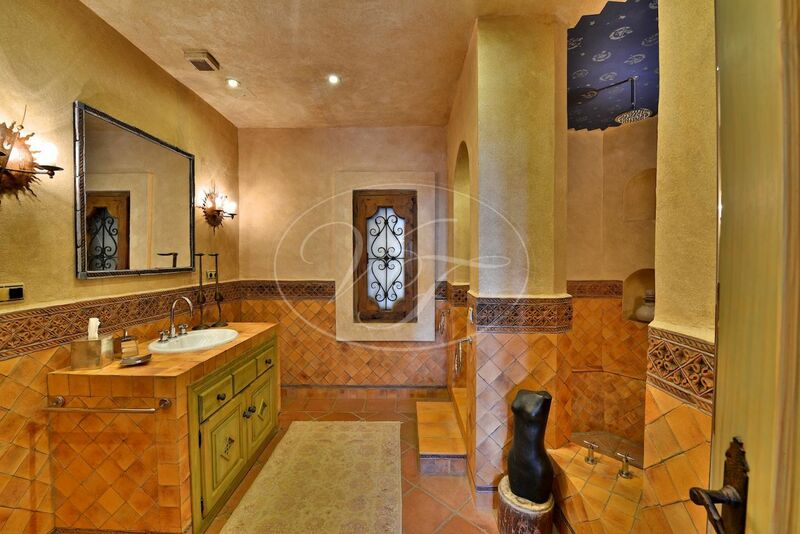 Please, send more information about ref 186-00427P, Country House in Gaucin or similar properties.